Almost daily, consumers hear about new advances in the treatment of cancer: a new drug, dazzling technological achievements or eye-opening scientific discoveries. Why, then, are some of the nation’s foremost cancer experts saying the system for delivering cancer care is in crisis and needs sweeping changes? According to a recent report from the Institute of Medicine (IOM), skyrocketing costs, a growing number of cancer patients and a shrinking pool of cancer care professionals are worrisome trends that must be addressed. 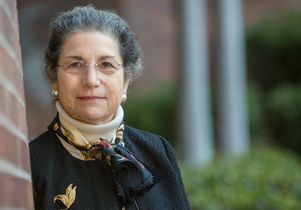 The report is the yearlong work of a committee chaired by UCLA oncologist and cancer-survivorship expert Dr. Patricia A. Ganz. She's a long-time participant on national committees on cancer-care performance and resource allocation.She spoke with health care writer Shari Roan about the report and her vision of a future when more Americans can access high-quality, coordinated care. What prompted the IOM to look at this issue? There was an IOM report in 1999 reviewing gaps in the quality of cancer care. It looked at everything from screening to end-of-life care to clinical trials, and it brought attention to many deficits in the quality of cancer care that is delivered in this country. Over the past decade, the IOM’s National Cancer Policy Forum, of which I am vice-chair, has been having regular workshops on topics related to improving the quality of cancer care. It was decided that the time had come to more formally revisit issues that have emerged since the 1999 report, and one that was high on the list was the escalating cost of cancer care. A workshop that the Policy Forum held in October 2012 pushed this issue even further and provided important background for the new report, especially the challenge of providing affordable care in the setting of an aging population. Why do you describe the cancer-care system as one in crisis? We’re reaching a time when the leading edge of the Baby Boom generation is turning 65 —more than 10,000 people are turning 65 years of age each day — and there are going to be more people developing cancer as a result. In this country, about 14-million people have had cancer and more than 1.6-million new cases are diagnosed each year. That’s expected to rise to 18 million and 2.3 million, respectively, by 2022. At the same time, the cost of drugs is skyrocketing. The number of tests done on people is rising. From 2004 to 2010, the cost of cancer care increased from $72 billion to $125 billion, and costs are expected to increase another 39 percent by 2020. Taken together, those elements became a catalyst for us to frame the situation as a looming crisis. In addition, fragmentation of care is a big problem. The average patient with cancer is not just seeing one doctor from the cancer team, he or she is seeing two, three, maybe four doctors from the cancer team when, in most cases, one probably would do. If the patient is not part of an integrated system, one physician may not know that blood tests were already done or the CT scan was already done. In addition, the report cites tremendous waste in the system. Every time somebody touches a patient, it creates an opportunity for an unnecessary test to be done. But the waste is actually more complicated than that. There is a lack of adherence to guidelines. In providing cancer care, physicians may do many things that are absolutely unnecessary and even potentially harmful. And then we sometimes omit things that would be beneficial. So it’s a combination of those two things. We need to adhere to the things that are now in the Choosing Wisely campaign of the American Board of Internal Medicine Foundation. This includes such things as not doing a PSA test on a man who has a life expectancy of less than 10 years or not doing ongoing surveillance scans and tests after cancer treatment when there’s no evidence they will be of benefit. How will the healthcare workforce handle the growing number of people with cancer? There’s a whole cadre of medical oncologists in my age group — I’m 65 — and we’re going to be retiring soon. Among younger doctors, not as many are going into internal medicine, leading to a shortage of those who may become cancer specialists. One study predicted the supply of oncologists will increase only 14 percent by 2020, despite the predicted 48-percent increase in cancer incidence. Everybody’s worried about the primary-care shortage in terms of affordable care, but other specialties are also critical to the delivery of cancer care. I think already some parts of the country have shortages of general surgeons, and those are the people who are doing a lot of the general breast surgery, colon surgery and other cancer-related procedures. Cancer care is shifting toward more targeted therapies. How does this affect the entire care system? It used to be we would diagnose someone and identify their disease as, let us say, lung cancer. Now, we pay attention to what specific kind of lung cancer it is. Now cancers are divided into subgroups; for lung cancer, for example, there might be four or five different mutations that are each associated with a unique targeted therapy. So there is an increased cost now in the diagnostics since you have to test every patient’s tumor for several mutations to see if there is a match. Even if you identify a drug for that mutation, that drug may not give you a 100-percent response. It might give you a 40- or 50-percent response that lasts from months to years. So the patient may still need to go on to chemotherapy or may go on to a second targeted therapy. Of 13 new cancer treatments approved in 2012, only one extended survival by more than a median of six months, and only two extended survival for four-to-six weeks. But they all cost more than $5,900 per month of treatment, and several as much as $10,000 a month. The report isn’t suggesting that this kind of testing not be done, is it? No. But it does mean we’ve now added an additional layer of testing to be able to personalize therapy. What’s wonderful is, if you are a patient with one of these diseases , you’re buying a lot of time, and sometimes less toxicity, with these targeted therapies. But in some cases, lung cancer, for example, 100 tumors need to be tested for the 3 or 4 percent of people who might have that target. The report says that patient-centered care is at the core of a high-quality cancer-care system. What does that mean? It means that we really explain to the patient what his or her diagnosis is, what the treatment options are, what the prognosis is. Usually there are choices. So we engage the patient right from the get-go in developing his or her understanding of his or her situation. We know that if patients understand what’s going on, they are more likely to be good collaborators in their care and ask good questions or tell us about things that they think are important. So it’s establishing a communication pathway; we call it shared decisionmaking. That’s patient-centered, and we know that patients are more satisfied with that kind of care. Why does the report also emphasize psychosocial and palliative care needs of cancer patients? A cancer diagnosis results in substantial fear and anxiety in most individuals, and there are effective ways of managing this distress with well-established psychosocial interventions and medications. Extensive research has shown that most patients are not offered psychosocial services to help them during their cancer diagnosis, treatment and survivorship care, and the report emphasizes the need for integration of these services with standard cancer care from the time of diagnosis. Managing a patient’s pain and other symptoms while we are making the diagnosis and getting the patient on a beneficial treatment protocol is very important. And as the course of disease continues, instead of waiting until somebody’s at death’s door, we want to take palliative measures. There was a trial published in the New England Journal of Medicine in which the researchers randomly assigned patients with newly diagnosed advanced lung cancer to either receive palliative-care consultations as an outpatient or just their routine care. The ones who got the palliative care lived longer and had less depression and fewer symptoms. Clearly there’s a survival benefit, but there’s also a quality-of-life benefit; however, one survey showed that 70 percent of the public had no knowledge about palliative care. The report also recommends more discussion between doctors and their patients about the costs of care, correct? Yes, in the report we call for transparency in cost. Many physicians will tell a patient they don’t know how much a particular treatment will cost. A recent study, for example, found that only 16 percent of hospitals were able to provide a cost estimate for a hospital stay. While it’s true that we may not know what a patient’s insurance plan will pay for, we can tell our patients that there are 10 different regimens for lung cancer with very little difference in outcomes, but that one will cost in the range of $10,000 a month and all the others will be $5,000 a month. Many people are concerned that in today’s healthcare environment, changes are being suggested exclusively to save on the cost of care; they are concerned that we are implementing a system with a greater concern for societal costs rather than for benefits to the individual patient. But cost is a very real issue for individual patients with cancer. Personal bankruptcies are really a huge problem for patients undergoing cancer treatment. More than one-third of people who file for bankruptcy said that medical problems were the reason, even though most had health insurance when they became ill. Even though people may be insured, the co-pays, deductibles and co-insurance — especially the share of cost for the drugs that are enormously expensive — may add up. And because patients and doctors might not have an open discussion about costs, the doctor may be arbitrarily denying a patient certain care because the doctor thinks the cost of that care may wipe out the patient financially. Whereas, if the doctor would actually talk to the patient about costs, the patient can respond regarding what his or her desires are and how he or she wishes to use financial resources. It is this kind of openness and transparency that we would like to see. What do you think will happen as a result of this report? An extraordinary group of people was involved in putting out this report, and now we have a lot of editorials and papers that have come out in various journals about the report to move its recommendations forward. This report is a vision for what we’d like to see happen; 10-to-15 years is what it’s going to take to see changes in the cancer-care system. But I tell people that it doesn’t matter if you are a doctor or a nurse, there are things you can do today to improve care for the patient sitting there in front of you. This interview first appeared in U Magazine, a publication of the UCLA Health System.